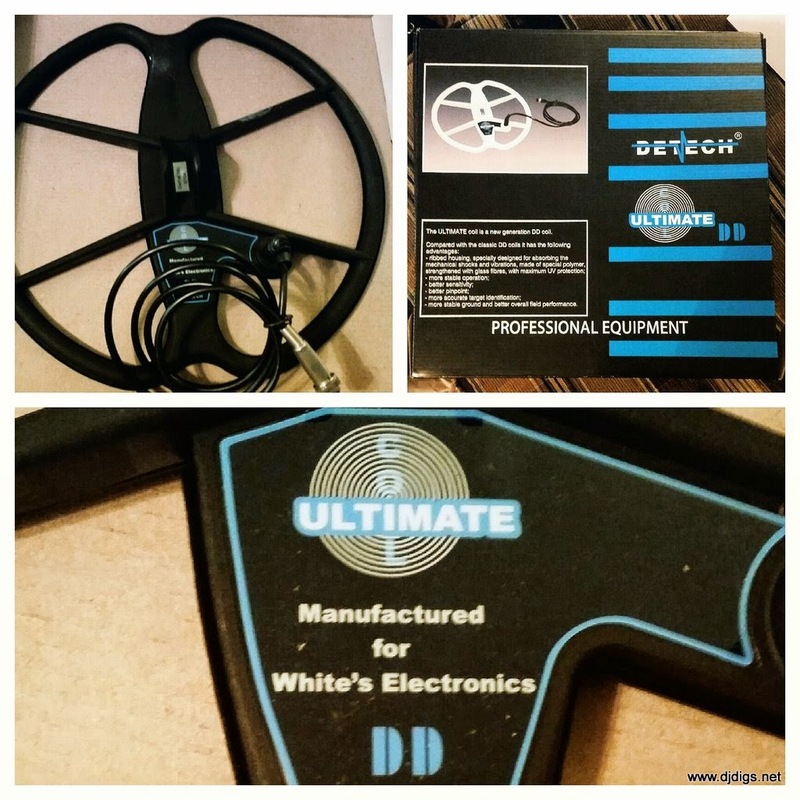 Today I had the chance to test out the new Detech Ultimate 13 coil, manufactured for White's Electronics. Yes, there is already a Detech 13" coil on the market, but this one is new & improved and was made in a collaboration with White's. Now you may be thinking exactly what I was... that 13 inches is a big coil. My concern was that the footprint was going to be too large for the small, private yards that I hunt. With the new technology, referred to as DD or SEF, these coils are supposed to have great separation and still maintain significant depth. 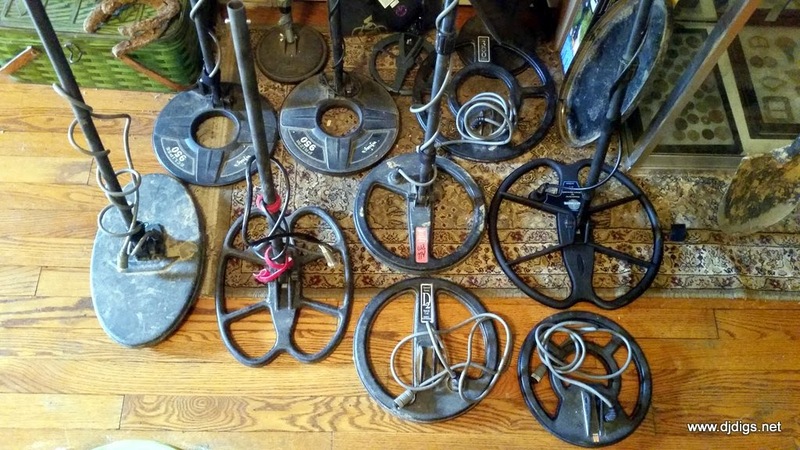 So I returned to one of my old sites, where I'd already pulled out about 50 old coins using various coils and worked it pretty hard. At the end of last season, it was hard to squeeze out another target at this site, so I figured it would be a great spot to test out this coil. I turned on my machine, set it to relic mode, did a manual ground balance, locked it in, and started swinging. I took about 6 or 7 swings before I got my first signal. The VDI number was jumping, but hovering around the 20's. I pulled the pinpoint trigger to see the depth and it was reading a solid 9 inches. I cut a nice deep plug and as I was flipping it over, I noticed a piece of aluminum foil drop out from the middle of the soil. Knowing my MXT and even though foil is darn close to the nickel signal, I didn't feel it was the target. I swung the coil over the hole to double check, and a solid 20 again. So I got out my trusty TRX, pinpointed the target, and it was deeper than I had dug. 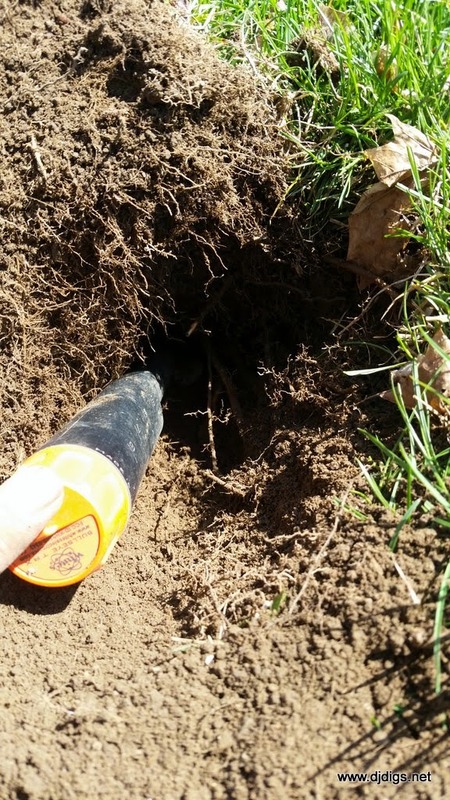 I took another 2 inches of dirt out and saw a nickel-sized coin at the bottom of a 9" hole. I pulled it out to see a 1906 V nickel in nice condition. I thought, "Heck, yes! This is gonna be great." I couldn't wait to see what else turned up. I took a few more steps and got a similar reading at around 7". 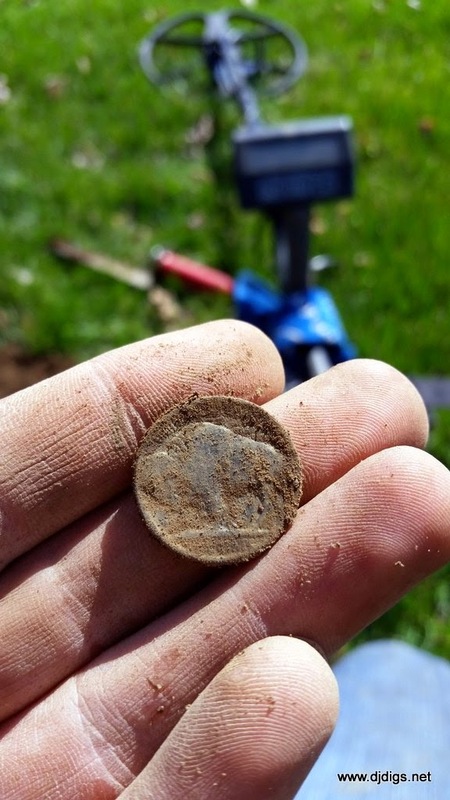 This one turned out to be a buffalo nickel. From here on, the targets weren't as frequent. 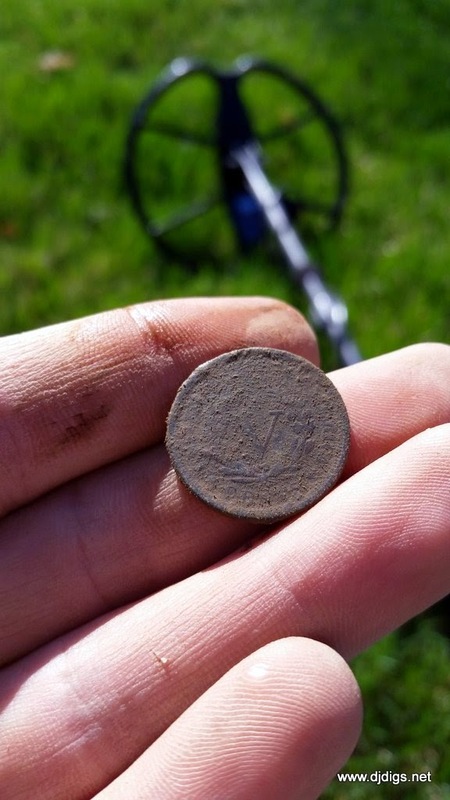 I continued to grid out the yard and found a couple of wheat pennies. Then I decided to switch over and try this bad boy out in coin and jewelry mode. I continued to go over the same area, working the grid in the opposite direction, and got another solid nickel signal at about 6 inches. I pulled out a 1941 Jefferson nickel. 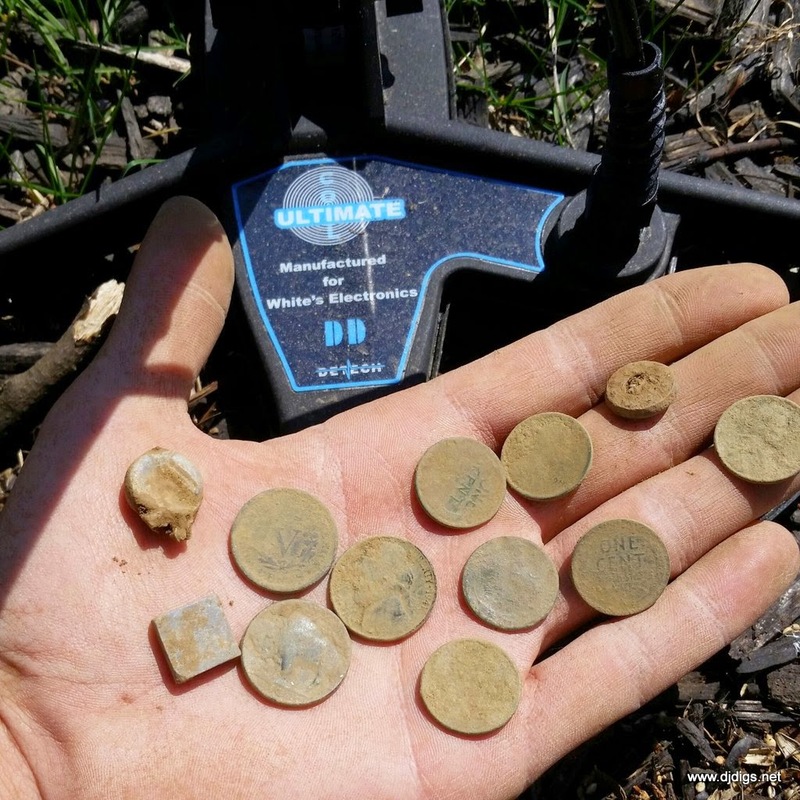 I continued to work the yard for a little bit longer and found 3 more wheat pennies, an old lead bale seal, and a few other small objects. Overall, I was impressed with the depth of these finds. I know I've been over them before multiple times. 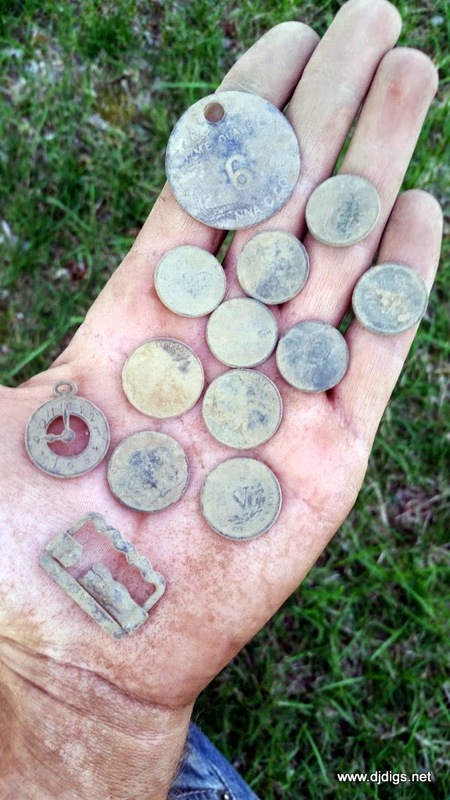 Another thing I noticed was that a few of the wheat pennies were on edge and the Ultimate 13 still found the signal. I did notice on the deeper coins, the VDI numbers were a little jumpy, but if you know your machine, you should be able to know which signals to dig. I feel this coil was very sensitive to small objects. Although it's a large 13" coil with a big footprint, I was impressed with the separation. A few of the coins had some trash in the same hole and if you go slowly enough, you can actually hear both signals. Satisfied with this site, I was eager to return to another old spot - this one older, with a lot of iron in the ground. 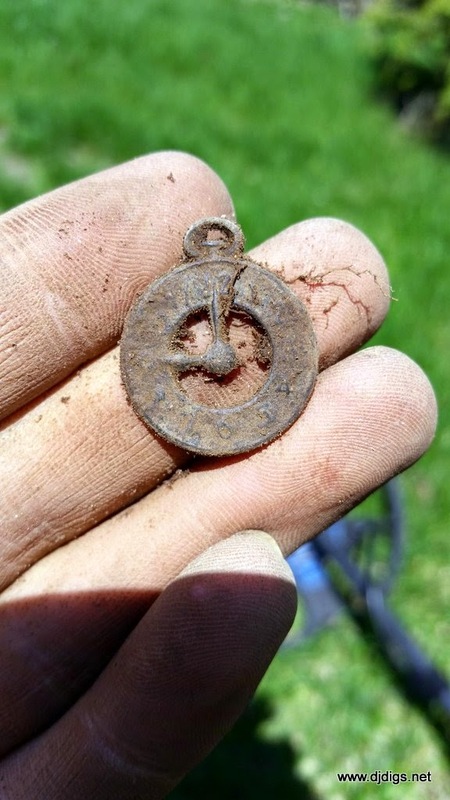 I've found a bunch of large coppers and some nice Colonial relics at this site in the past. I was excited to hunt at this site because it was more my style. 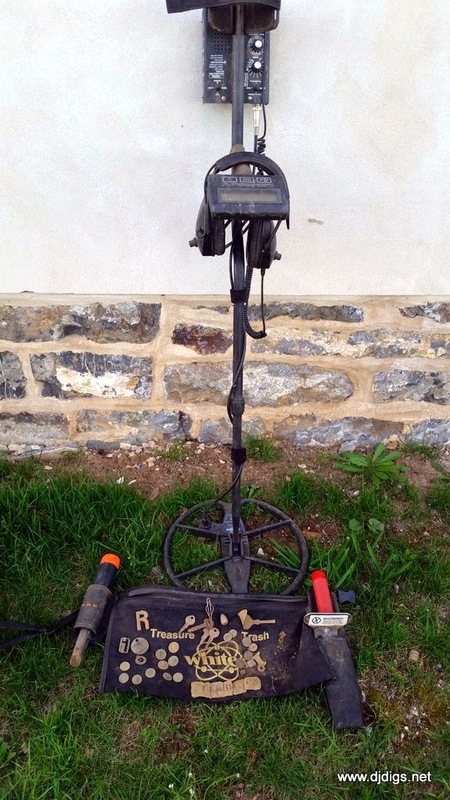 I prefer to hunt on the older 1800's sites. This was a lot tougher because there was a lot to listen to. I had my discrimination set at +2, so I was listening to almost all of the metals in the ground. I was going at a pretty slow speed and managed to pull a high tone out of the iron grunts. I found this really neat clock charm of some sort. After hunting for a little while longer, I'd found a busted up old harmonica reed, a set of keys, an old spoon, a lead fishing weight, a pretty cool tag from a local quarry - #6, and a big letter R to go with the big letter E that I found last week. I didn't find anything killer at this site, but I did manage to find quite a few targets that I didn't find before. Overall, for the first day out with the new Detech Ultimate 13 for White's, I can honestly say I was impressed. 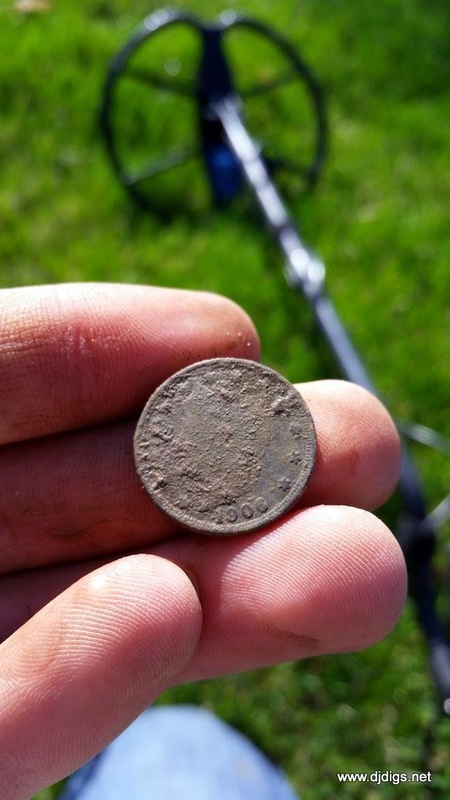 I was averaging depth on coins at about 7-9 inches, I didn't dig that much trash, and it wasn't too bad in the iron. My next step is to run it at a site that's never been hit before to see how much I can find on the first hunt. I will definitely be using this coil quite often and can't wait to see what it finds me next.